Digital marketing is fast becoming mainstream media in India. Until 2010, it was considered as an additional option but in 2015, the digital market became the largest media and also the largest employer. Times of India reported that digital market will create more than 1.5 lack jobs in 2016 and the leading newspaper was right. Digital marketing is open to all and also it provides exciting growth opportunities. Anyone can enter into online marketing service. This article sheds light on various career opportunities in digital marketing; responsibilities and remuneration. Manager Content Marketing: The job includes planning and managing blogs, press releases, SEO articles, emailers and video marketing material. The position could be fixed or advisory as some big companies hire consultants. Content manager reports to digital marketing head and the manager could earn up to 15 lakh annually. Manager Inbound Marketing: Inbound marketing is internal communication. The post is created to keep the content writers free to deal with web traffic or targeted audiences. The manager also reports to digital marketing head and remuneration is determined on role and experience of the candidate. Usually it is up to 10 lakh annually. Social Media Marketing Expert: Role and responsibility of social media expert is to lead the social media campaign of businesses. The manager is responsible for the social media posts and also for media buying and paid ads on social networking sites. Remuneration is equal to the manager inbound marketing. SEO: Search marketing is the only responsibility of SEO executive and the executive must be an expert in digital marketing. Here it is necessary to mention that a SEO executive can reach to the position of digital marketing manager with hard work. The executive is responsible for bringing traffic to website. 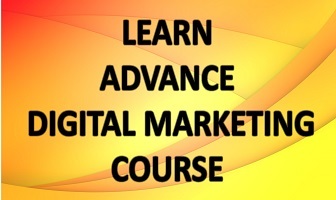 Digital marketing training is necessary to become SEO executive. An attractive remuneration of up to 10 lakh is offered to trained executives. Conversion Rate Optimizer: The sole responsibility of CRO is to increase rate of conversion. CRO works as a team member but his job is to cooperate and get cooperation from other members like inbound marketing manager and SEO. His role also involves in creating landing pages and increasing the conversion rate. Digital marketing provides an opportunity to start a striking career at any stage and with any qualification. You can start a career with a short course on digital marketing after 12th or you can go on taking higher education in mass communication and then apply for a top position in a leading organization.